Available in a stunning range of distinctive and versatile colourways, there are also two different styles to choose from; Classic. a smooth, even finish making it the perfect choice for a contemporary style of interior, or the sumptuous Soft-Fold cascade finish that will create an opulent fell to any room setting. 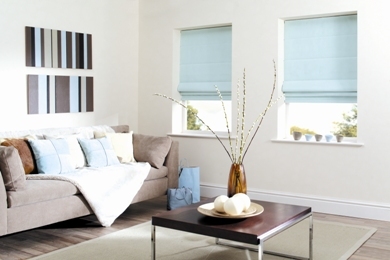 Individuality is created by selecting from our co-ordinating range of accessories to add that finishing touch to your blind. Safety is always on our minds here at Torbay Blinds with all our products conforming to European Safety standard EN13120. One of the many control options includes a quick release gear.